Prime Minister Jung Bahadur Rana was the toast of London town. A prince from the Orient captured the popular imagination of Victorian England. A newspaper account of the period describes him as athletic, dark and handsome; bedecked in fine pearls and sparkling jewels like most Oriental despots. Jung had good reasons to be no less: he had taken state power in Nepal during the Kot Massacre of 1846, survived the Bhandarkhal plot aimed at destroying him a year later and was now, in 1850, the first prince from the South Asian Sub-continent to be invited at the court of Queen Victoria. Both aristocracy and nobility vied with one another to give him the most opulent reception possible. On a particular mid-June evening when London warms up to a fleeting summer solstice, Jung was preparing himself for yet another party. Staying at Richmond Terrace, just a stone's throw away from Buckingham Palace, Jung had easy access to the drawing rooms of the rich and famous. He was already getting bored by the attention lavished on him. He was a man of action and his one goal was still unrealized which made him restless: his eagerly awaited audience with Queen Victoria who was resting after giving birth to a son, Arthur William Patrick, later to become the Duke of Connaught and Strathearn. Jung was also missing his two wives. The journey from Nepal to England was physically arduous for the mountain prince having to navigate many days and nights the treacherous seas and mentally strenuous as the trip was heretical from the religious point of view. For high caste Hindus crossing the ocean meant denigrating one's status in society. Jung had taken with him huge casks full of holy water from the Ganges River for daily ablutions to expunge his sins. Jung took a quick shower and sprinkled himself with the water from the Ganges. He dressed himself in Oriental splendour: the chestful of military decorations, the bejewelled sword, the baju armband containing holy mantra prayers from the Veda and the sarpech, the headgear adorned with expensive pearls and diamonds. A six-horse carriage was waiting for him. He drove with his entourage consisting of his two younger brothers Jagat Shumsher and Dhir Shumsher, his personal attendants and a retinue of bodyguards to London Tavern for a banquet hosted by the Court of Directors of East India Company. He wanted to quickly end the formalities and return home as early as possible. The hosts introduced Jung to yet another adoring group of London high society. The Kingdom of Nepaul was a friend of Great Britain and the supplier of the hardy Gurkha soldiers the Raj relied upon in those turbulent days of anarchy and mutiny in India. Jung expertly worked the crowd; slightly bowing to a Lord here, tipping his crown to a Lady there. He suddenly stopped. His sixth sense told him he was being closely watched and he turned around slowly to see the loveliest pair of big blue eyes he had ever beholden. Jung was bewitched. The host introduced Jung to the most arrestingly beautiful woman he had laid his eyes upon. She had long, flowing golden locks and strawberry complexion. Her name was Laura Bell. A scandalous love affair ensued that would have far-reaching consequences for Nepal-Britain relations and Jung's own political future back home. 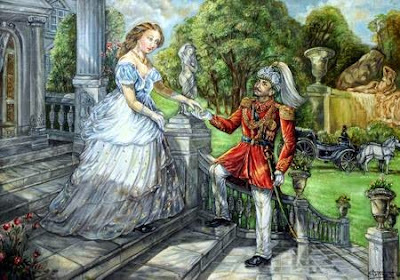 Jung Bahadur was captivated by the youthful Irish lass, barely out of her teens but she was a courtesan of first order. 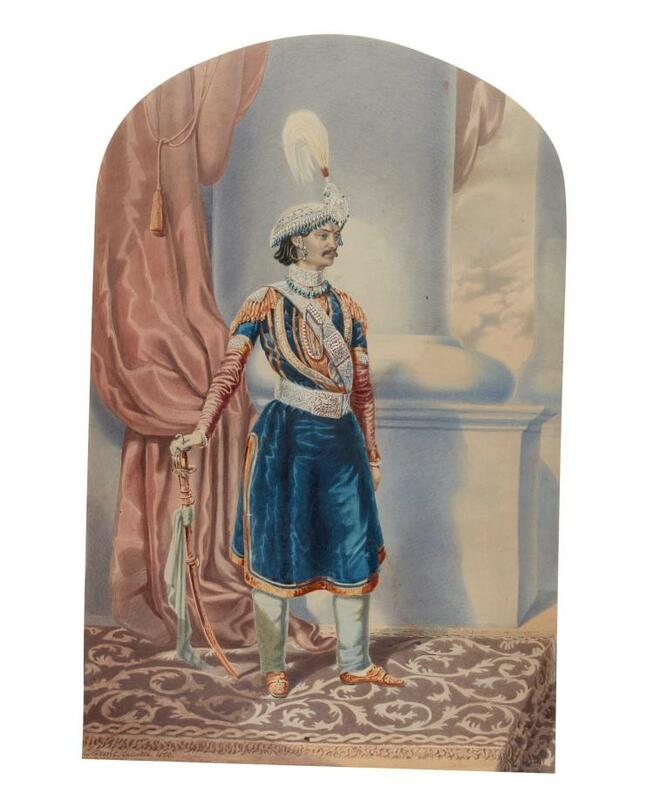 Laura in turn was smitten by the aura of Oriental opulence and power personified by Jung Bahadur Rana. British India had lavished on his visit vast sums of money which he in turn now lavished upon Laura. Jung put her up in a fitting residence at Wilton Crescent in the very heart of Belgravia. It is documented that Jung spent £ 250,000.00 on his demimonde the sum of which was later underwritten by Governor General Lord Canning as a sign of further goodwill. Jung spent his days in Britain reviewing march-pasts, inspecting armouries, visiting factories and getting a close glimpse of the masters of India he so admired. He knew that to preserve Nepal's sovereignty an alliance with Britain was not only necessary but absolutely essential; he had first-hand experience of the travails of his maternal grand uncle Prime Minister Bhimsen Thapa after the Anglo-Nepalese War was terminated by the humiliating Treaty of Sugauly in 1816. Jung now had another reason to stay longer in England, his paramour Laura Bell. 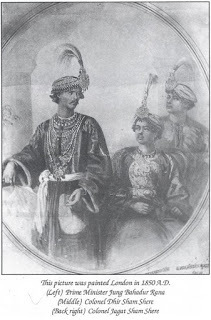 Jung Bahadur stayed a total of three months in England, mostly in London but also visited Coventry and Edinburgh. All the while his fondness for Laura Bell grew and he lavished one expensive gift after another on her. As the date of departure drew near Jung expressed his desire to stay longer in England but his brothers were successful in persuading him to return to Nepal fearing a political accident back home as Jung had many enemies at the Nepalese court. Leaving Laura Bell behind was heartbreaking. It is said that Jung's parting gift was an expensive diamond ring with a promise to fulfill her every wish. As future events unfolded the political opponents of Jung Bahadur had sprung a trap for him upon his return and one of the accusations made against him was his love affair outside his caste. Jung evaded the trap once again and became even more powerful following his visit to Britain. He was awarded the title of Maharajah of Kaski and Lamjung by the king. Years later it is said that Laura Bell sent a written request to Jung Bahadur through the British Resident Colonel George Ramsay begging him to come to the rescue of the British during the Sepoy Mutiny of 1857. Accompanying the letter was the very ring Jung Bahadur had once gifted her as a sign of his love. The Nepalese court was divided over whether to help the British or stay neutral. But he could not deny the final request of his paramour. Jung personally led his troops to the gates of Lucknow. 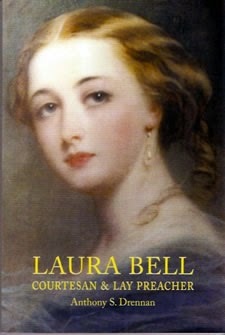 A few years after Jung Bahadur left England Laura Bell married a British socialite and settled down. Later she became close to Prime Minister Gladstone in a relationship historians are still trying to decipher. She was eternally working the corridors of power, a true courtesan to the last. Looks like Jung Bahadur rang the right bell! And Ms. Bell, in turn, tolled his bell effectively enough to send him to Lucknow. Fascinating story. You must have really fine research sources. Subodh, captivating piece of writing. What a story. You are fast becoming the most famous raconteur of nuggets of Nepali history that if not for you would be lost forever. So, thanks. I (Akash Bhairab) forgot to mention that the last paragraph about Moira Brown really brought the story together and gave it a very good and personal ending. And I really loved Horatio's comment, ha ha ha!!!!! Cambridge would give him an A + for that marvelous comment. Jai Ho, Father Watrin. This story,a spicy mixture of fact and fiction has all the hallmark of a bestseller novel or hit films like Gone with the Wind or Titanic. Subodh,why not give it a try and write a historical novel based on this! Fascinating story. The Moira Brown connection was really interesting. While I was reading, like Said.., I was thinking a wonderful movie or novel might come out of this fascinating history. Why not you start writing? It would be very popular in England and of course, in Nepal as well. I think, you have a good writing style. Remember, author Amitav Ghose from India; he has become famous writing novel based on history, for example, Glass Palace. I would be interested to keep intouch with you. Anybody has any info on one of the wives of Jung Bahadur, Princess Gangamma. She was very pretty and was married to him when she was 11 yrs old. Her father was a deposed Raja of Coorg, South India and her sister was Princess Victoria Gauramma who was baptized in Windor Castle with Queen Victoria standing by as sponsor. Its a fascinating tale: Lost Princess of Coorg. I know she died without any issue. There is an extensive story about how Jung wooed her in Oliphant's book, "Journey To Kathmandu"(1852). Oliphant had a rare chance to see her, and he comments that she was very beautiful. I remember reading about Victoria. But it is not what you want to know anyway. She was considered the disgrace for the family in a way, as she converted to Christianity despite being from a royal family. I don't know exactly where I read about the death of Princess Gangamma (I think her name was changed by Jung after she came to KTM). Purusottam Shamsher's book lists the wives of Jung. I was curious to see the face of beautiful princess of Coorg and wanted to know about her descendant awhile ago. I then ran into an article somewhere which mentioned that she died when she was 22 without having any children. The date could very well be correct. Jung was in UK from May 25 to the week of Aug 23, 1850. He was in Benaras around December, and returned to Kathmandu on Feb 7, 1851. I think the names of three wives are in Padmajung's book (or Purusottam's). The main one was the sister of Gaya Prasad Shah, Hiranyagarvakumari, who seems to be the closest one to Jung. The other two escape from my memory, but one should be able to find their name. What is intriguing is that Pudma Jung does not mention the marriage to the princess from Coorg. Pudma Jung was born Dec 1857 when JB was embarking on the expedition to Lucknow durin the Mutiny and his mother Kahila Maharani died at child birth and he was raised by Maharani Hiranya Garva Kumari. hello Rana: Thank you for your reply . I think she passed away very young like her sister in her early 20s. She was one of the prettiest of the princesses and married young. Its sad how the whole family disintegrated without issues. Her sister who was taken to England, princess Gouramma- married, had a daughter, died young. Her daughter had a son victor and he had 3 kids, one of their daughters live in Australia and recently contacted by the author of the book . However, they have sort of lost relevance to their heritage sort of lived a blue collar life. Oh well, life was so cruel in those days, people sort of lived barbaric especially Gangamma's father was a evil man, and his banishment from Coorg was welcome relief and the land prospered under the british. I thought it was too good to be true for a man from Nepal to fall in love with a high society girl in London however charming and handsome he may have been and spent £250,000 on her within three months of Victorian England of 1850s. I carried out a research and to my surprise most of the thing that you have written are true, such as beautiful shoft speaking Irish lass and the spending of £250,000. But she was not of a noble birth, neither she inherited wealth. Mr J F Burns explained in Lisburn Historical Society , Volume 2 in December 1979 an article "From whoredom to Evangelism" how Laura Bell climbed up in society from a part-time prostitute in a small town in Northern Ireland to an Evangelist. As explained by Mr Burns Laura bell was simply a high class prostitute and Jung Bahadoor fell for her. Their first meeting was at Jays Mourning parlour at Regent street. When you come to London next I will take you there. Jung bahabur must be mad to spend £250,000 on an Irish Whore. Jung Bahadur was the biggest catch for her. Hello Narendra, well the Irish lass was very beautiful and reports say that British India underwrote the expense of JB's folly and, if true, actually he had the last laugh! Yes, indeed let us visit the famous address at Regent Street.